Mitt Romney was part of his party’s greatest success in recent memory. Unfortunately, he has to pretend he wasn’t. In a normal world, Republicans would look at Mitt Romney, who is announcing his second run for their party’s presidential nomination today, as a sterling example of one of their party’s greatest success stories since the Reagan era. 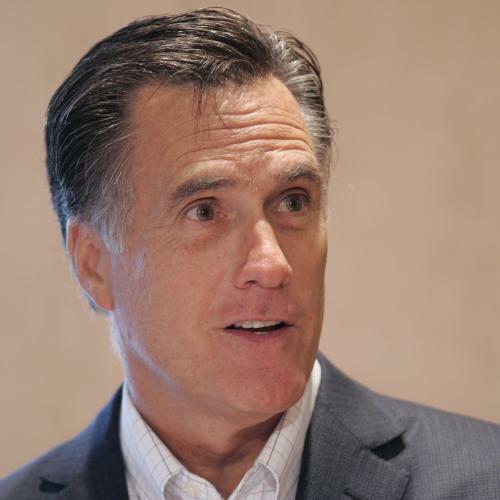 Unfortunately, it’s that very success that his party seems to have willfully forgotten—and the thing that’s most likely to doom Romney’s candidacy. The problem is much bigger than Romney’s health care reform in Massachusetts. His term as governor of that state represented a significant period, from the mid-’90s through 2006, when Republican governors dominated a populous swath of Midwestern and Northeastern states that, in all other respects, were moving rapidly toward Democrats. Tommy Thompson (Wisconsin), John Engler (Michigan), Tom Ridge (Pennsylvania), George Voinovich (Ohio), George Pataki (New York), and Christine Todd Whitman (New Jersey) marked the first ultra-successful wave of blue- and purple-state GOP governors, while Romney, along with M. Jodi Rell of Connecticut and a few others, were the most capable of a smaller, post-2000 second wave. But, while some things were subject to compromise, others were not. While the states and political circumstances varied, and issues shifted, there was a general pattern. The big- and blue-state Republican governors were generally tough on welfare and crime, not overly divisive on abortion and other social issues, generally favored investment in education, sometimes were environmentalists, but only in the most limited circumstances would they raise taxes. With a few exceptions, they did not aim to upset the existing social contract. It was the perfect suburban policy combination for a group of increasingly suburban states. These governors had a lot of luck, some smoke and mirrors, plus some help from Democrats on their side. The late-Clinton economic boom created the conditions in which it was possible to increase spending on education without raising taxes. And welfare reform in 1996—based on policies pioneered by Thompson and other governors—didn’t just give states “flexibility”; the welfare block grant gave them a huge windfall of federal money, far more than they would have received under the old system. And governors like Whitman mastered the art of manipulating their state employees’ pension fund contributions to balance their budgets, with consequences that we are seeing now blamed on the employees for their “unfunded obligations.” But, at the time, to voters, it sure seemed to work. Without those governors of the 1990s and early 2000s, it’s hard to imagine where the Republicans would have been after the Clinton years. After all, this group is produced a president in George W. Bush who seemed familiar: a genial governor who could work with Democrats and cared about education, but would keep taxes low. And, of course, because so much of the policy that affects people’s lives is determined at the state level, the hands of those governors had a far greater effect than most of the federal-level action, even during the early Bush years. Conservatives ought to look back at this not-long-ago era of Republican governors as a vital and important breakthrough for them, and at Romney as one of its examplars, despite his short service. Yet new Republican governors in many of the same states seem instead determined to forget all of the lessons of their more popular predecessors. Scott Walker, John Kasich, Rick Scott, and the less well-known Rick Snyder of Michigan, for instance, view their job not as being to govern within the existing arrangements, but to force big showdowns and bid for absolute power. Their model of governing is more like the absolutist, Beltway Republicans of the Bush era, like Representative Tom DeLay, than George Voinovich or John Engler. Perhaps it’s their best option—without the economic boom of the late ’90s, and with all the pension tricks already played out, success-through-governing won’t come as easily. But the price of their confrontational style is that there’s nowhere to look to see conservatism as a practical, working governing philosophy. With that golden-era model of Republican governors so thoroughly rejected, Mitt Romney looks like a relic from a long-forgotten time—like his father’s actual moderate Republicanism—even though it’s only been five years. Were Romney trying to check off the “served in government” box on his resumé today, he’d probably pick a different state and adopt a showdown style more in keeping with the times. But it’s too late for that. The shape-shifting Romney will surely adapt to whatever he’s required to say, but, in doing so, he will have to renounce not only his governorship—his own principal credential for the presidency—but also his party’s most important political triumph in recent memory.